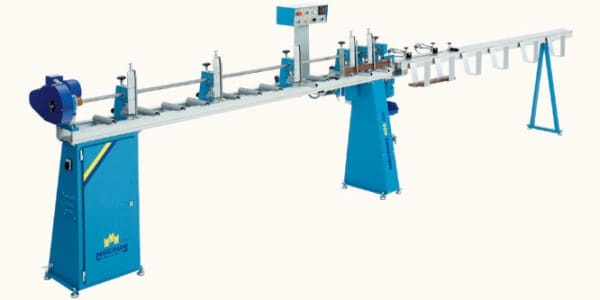 Automatic machine MAGNUM-100 is deisgned for forming, punching of holes and cutting of louver strip to the desired lenght. 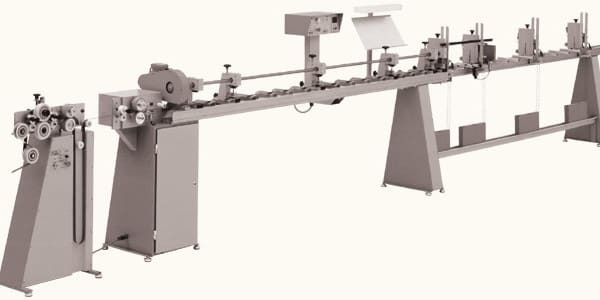 The purpose of PM-01 assembly hoist is assembling of the window venetian blinds. 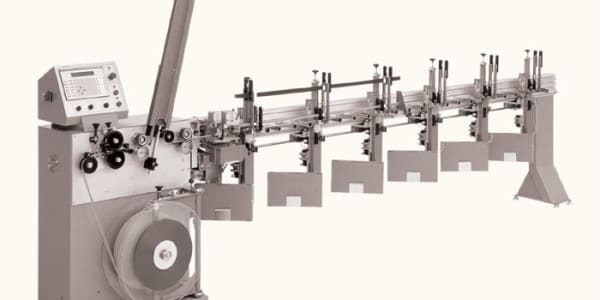 Fully automatic forming, punching and cutting venetian blinds machine. Currently, the production of M300/350 has been stopped (they have been replaced with M410 series and M420). 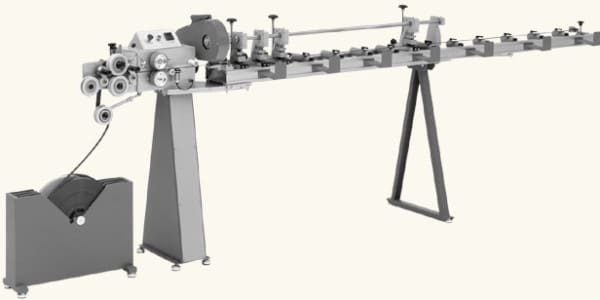 Automatic machine Magnum 400 is designed for forming, punching of holes and cutting the louver strip of 25 mm or 16 mm width to the desired length. 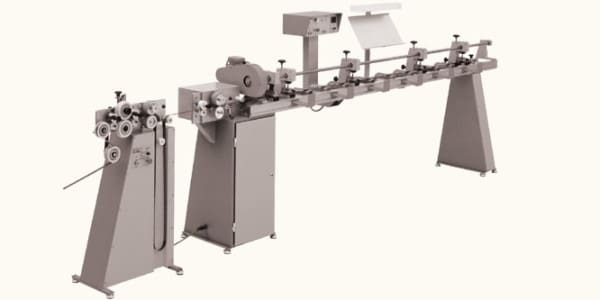 The automatic machine type Magnum 400AD is designed for punching of holes in wood slats of 25mm or 35mm or 50mm width. 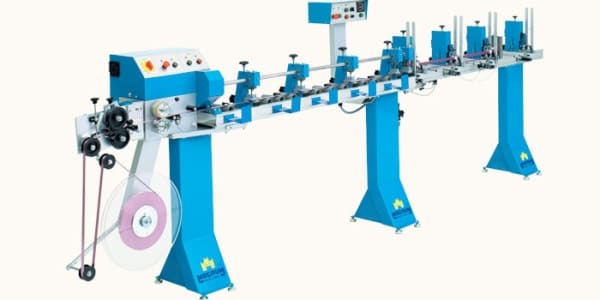 The automatic machines of M410 series are designed for roll-forming, punching of holes, cutting of aluminium strip of 25mm or 16mm width to desired lenght, and automatic threading of venetian blinds (refers to 410BT and 410RT models). 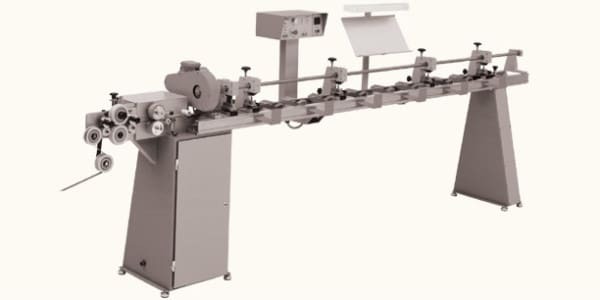 The automatic machine Magnum 2000 is designed for roll-forming, punching of holes, cutting of louver strip of 25mm or 16mm width to the desired length and for automatic threading of venetian blinds. Wiodący producent maszyn do produkcji żaluzji aluminiowych i drewnianych oraz stołów do produkcji rolet z ponad 20 letnim doświadczeniem .Jesteśmy także sprzedawcą maszyn ASCO na Europę środkowo-wschodnią.